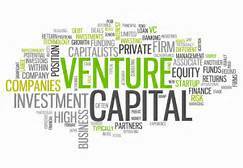 The Garber Venture Capital Fund at Penn State University has developed into an excellent educational program for aspiring Penn State students with an interest in venture capital, investing, and banking. It was established in 1999, thanks to a $5 million commitment from Penn State Alumnus Dr. John Garber, and his wife Bette. Peter Whalen is the current director of the fund, and oversees all activity related to investing the funds’ equity and running the Garber Fund Practicum, the feeder class for the fund. The Garber Fund Practicum is a seven-week course designed for graduate students with an interest in venture capital funds. The class is not limited to those seeking MBAs, as there are some law students and various other majors as well. Participants work throughout the program to do deal sourcing, and then investigate potential new investments. They typically prioritize Penn State alumni and companies in Central PA when targeting potential new opportunities. Students invest the proceeds from the $5 million endowment in companies that they research throughout the program. On average, the fund invests between $100,000 to $150,000 every year. Each student is tasked to a different assignment, and they are expected to make fair and honest evaluations as to whether their assigned investment is financially practical or not. At the end of the semester, they make an evaluation on the company they researched throughout the program. One of the greatest assets available to the Garber Fund is there extensive network of Penn State alumni, allowing the fund many different avenues for potential investment opportunities. One of the goals of the Fund is to show support for alumni, and invest equity within the Penn State community before branching out to external opportunities. Another great asset is the intellectual talent within the university campus. Students enrolled in the Garber Fund Practicum may not be experts in the type of business they are looking to invest in. In these cases, they can rely on the expertise of Penn State professors, researchers, and academics to aid them. For example, an investment in a company that produces medical devices might warrant a trip to the professors at Penn State’s medical and nursing program. The Garber Fund has been actively investing for over a decade now, and has continually shown growth in that time. Currently, it is the nation’s most active student-centric venture fund. On campus, the fund also has competition from the Nittany Lion Fund, although that is targeted towards undergraduate students. Peter Whalen is looking at continuing to grow the fund and expand upon both current and new investments. At a time when entrepreneurial spirit is gathering more and more focus in University Park, the Garber Fund is poised to take the next step.